Scalable and powerful for mission-critical activities, Xerox ConnectKey Technology-powered AltaLink and Versalink multifunction printers are designed for demanding users, high security standards and advanced finishing requirements. Browse our line of multifunction laser printers / all in one laser printers that do much more than print. You will get easy-to-use interfaces, reliable paper handling, advanced security and sophisticated tools for controlling costs. 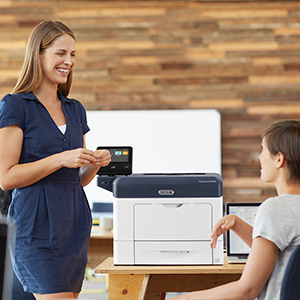 Turn your multifunction laser printer into a smart workplace assistant with WiFi connectivity, mobile printing, tablet-like touchscreens and cloud-connected apps. Shop award-winning color and monochrome laser printers with superior print quality, reliability, ease of use and security designed for business workflows. Innovative features such as mobile printing, WiFi connectivity and premium security ensure you are always up to date with the latest office laser printer technology. Our office laser printers suit different budgets and needs. We offer the broadest digital printing press portfolio of cut-sheet digital presses and production printers on the market. Sheet-fed digital printing presses are ideal for graphic communications and commercial print providers’ high-speed, high-volume printing applications, including publishing, transaction printing, direct mail, packaging and photo publishing. Managed Print Services (MPS) can take your printing infrastructure from so-so to outstanding. MPS is about more than just printers. It’s everything related to printers, their output, supplies and support, the way you use documents and the people and processes that intersect with each of these. MPS helps you gain visibility and control of document processes and costs. This ultimately saves money, automates steps, boosts productivity, and improves document security and environmental sustainability. Read Our Southwest Office Solutions Articles! We've got a lot of articles, Read more here! With offices in Albuquerque and Los Alamos, Southwest Office Solutions is your local and trusted Xerox Office Copier and Printer partner. 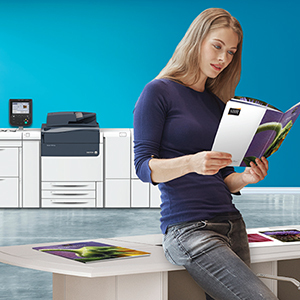 For businesses large and small, we will determine the best print office solution to meet your needs! Copyright Southwest Office Solutions. All rights reserved. View the Sitemap.